Look no further for your place to call home! If a friendly, quiet and safe community with affordable monthly rent is your goal, Pine Forest Park is a perfect fit. Situated in the sandhills of Aberdeen, just minutes from Pinehurst and Southern Pines, the Pine Forest community is convenient to FirstHealth Moore Regional hospital, as well as other amenities in nearby towns. With a large yard surrounding each home fronting on the sandhills lane, you'll find plenty of space to enjoy your time at home. Follow the link below to complete your application for residence in the homes at Pine Forest Park. Pine Forest requires the completion of a rental application; follow the link above to access the form. Previous landlord references are required and verified. Employment history, references, and criminal backgrounds are checked. After processing the completed application, an appointment will be arranged to view the unit of your preference (per availability). Should there be no current openings, please complete and submit your application; it will be processed and you will be notified when a home is available for occupancy. Feel free to advise us of your preferred date of occupancy and every attempt will be made for accommodation. Home leases are for 12 month terms, with automatic month-to-month renewals thereafter. A 30-day written notice (after the initial 12-month lease is completed) is required for lease termination. A security deposit (usually equal to the first months rent) is required along with the first months rental payment for occupancy. 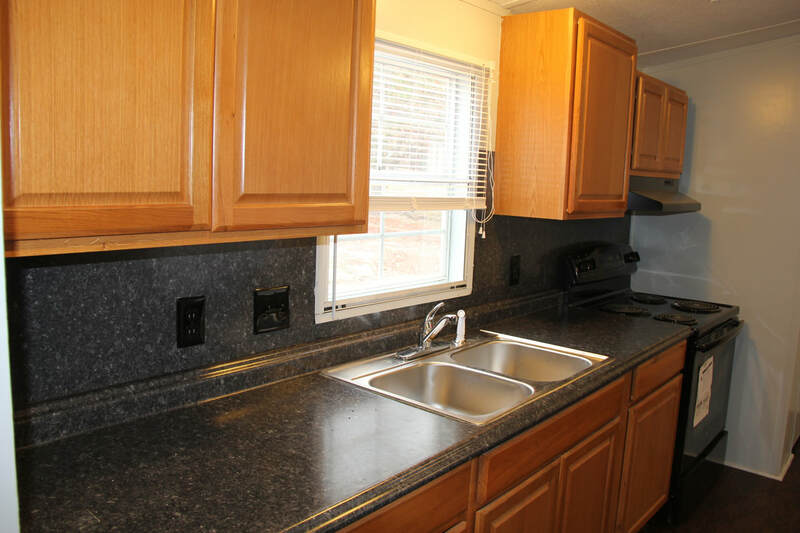 Pine Forest Park is a well-maintained community of mobile homes designed for comfortable, affordable living; your home maintenance requirements will include taking pride in the upkeep of your home and yard, removal of all trash and debris. No garbage, furniture, old cars, or other unsightly items may remain on decks or in yards. Electricity is accessed thru Duke-Progress Energy; service must be obtained and active in your name prior to occupancy. 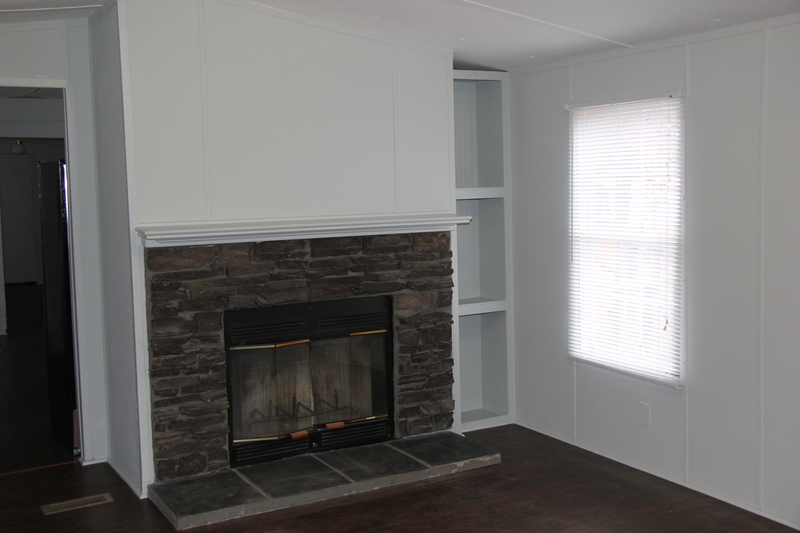 2 bedroom and 2 full bath home with all new wood flooring (LVT), paint, kitchen cabinets and appliances. Nice large master bedroom and bath. Monthly rental is $635; deposit is $700 for this spotless, like-new home. This is a non-smoking, no-pet home; Mrs. Clean will want to live here! Sorry, this home has been leased! Please check back again! There are currently no available homes for lease. Please email us for future availability! 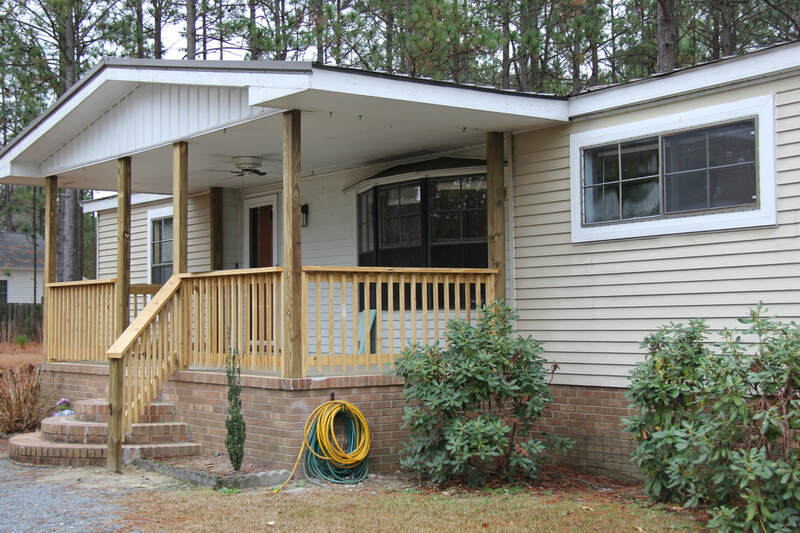 Large yard, carport, front porch and rear deck. 3 bedroom, 2 bath newly renovated home.. 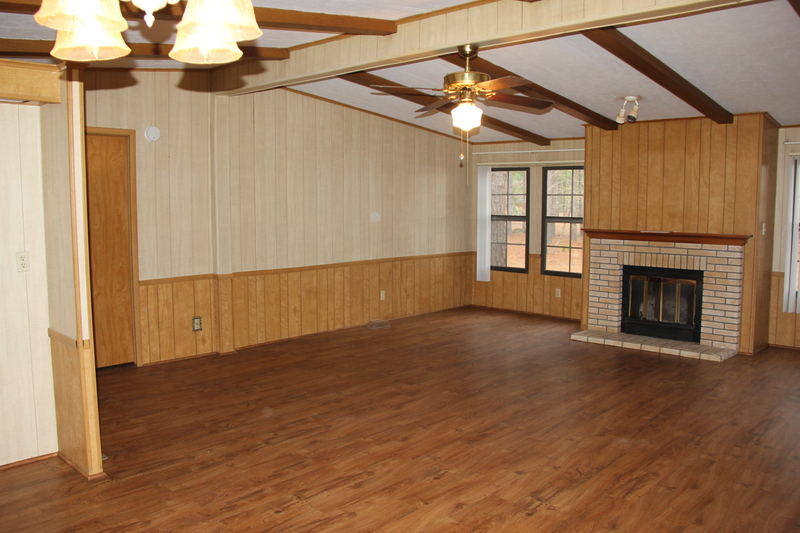 Huge great room with vaulted ceilings. Monthly rental is $825.00. Sorry, this home has been leased. There are currently two available lots for lease. 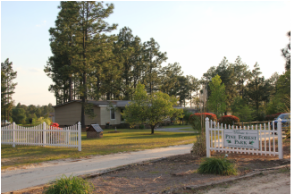 If you are looking for a great community in which to place your mobile home, contact us to discuss the possibility of placing your home in Pine Forest Park.